As I get older, I find that my skin has been getting more sensitive to harsher ingredients and treatments. Or it could be that with more experience of what I put on my skin, I notice the effects more. Whatever the reason, my skin just doesn’t bounce back with as much resilience when I throw stuff at it. That is especially the case with chemical exfoliation. My first forays into AHAs (alpha hydroxy acids) did not end well, with stinging, irritated, peeling skin, even though the products I used were quite gentle and designed for relatively frequent home exfoliation. I’m sure that I’m in good company as there are many people out there with sensitive skin. Perhaps your skin is inherently sensitive, or perhaps you use strong treatments like retinol or azelaic acid. Either way, I thought that a review of some of the gentle exfoliation products I’ve tried recently might be helpful. Keep in mind that as these products are very gentle, the effects won’t be as dramatic as if you used a strong peeling product. No instant fixes here. But if you’re looking for progressive fading of spots, noticeably smoother skin, and a cumulative effect taking place over time, you’ve come to the right place. These gentle exfoliating pads are soaked in an exfoliating solution that smells almost exactly like Welch’s grape juice. The solution contains wine extract as well as lactic acid and glycolic acid, both AHAs. The gauze pads are soft on one side and textured on the other, to provide physical exfoliation as well as chemical. You are supposed to gently use the textured side in circular motions over your skin, then finish up with the soft side to pick up any leftover debris. Then you rinse the solution away. The best thing about these pads is that the solution is not drying. That’s pretty amazing for a chemical exfoliation product. I have been using these 2x a week with no over-exfoliation or dryness. Just smoother, brighter skin. The solution is rather sticky, but that’s all right, as you are supposed to rinse it off before applying other products. I usually leave it on for 10 minutes before rinsing, as opposed to rinsing it off right away. When I tested the solution with my pH strips, I got a pH of 6, which is too high for acids to exfoliate properly, though the AHAs can still benefit your skin. But I think the bulk of the exfoliation is provided through the textured pads. CosRX has a great reputation for their BHA Blackhead Power Liquid (as reviewed here by Jude from FiftyShadesofSnail) which is already a gentle BHA product. But I haven’t seen many reviews of the CosRX BHA Emulsion, which is even gentler. According to the description, this product can be used for daily exfoliation. I find the Cosrx BHA Emulsion to be very gentle and even adds an additional layer of moisture. Again, it’s amazing that an acid product can actually be hydrating as well. 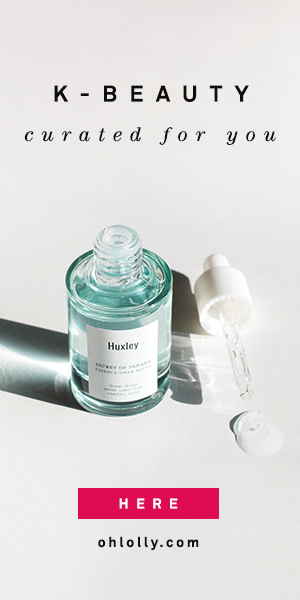 This product uses centella asiatica water as a base (instead of plain water), which is supposed to be an anti-inflammatory, wound-healing agent. It also contains 1% betaine salicylate (the BHA component) and tea tree oil for its anti-bacterial and anti-acneic properties. BHA products are supposed to exfoliate inside the pore to keep pores clear and to reduce blackheads and acne. With regular use of the CosRX BHA Emulsion, I really do find that the pores on my nose look smaller and lighter, especially when combined with regular oil cleansing. It also has a definite effect on keeping my skin clear and reducing any breakouts. So even though it is gentle, the BHA Emulsion does its job. It had a pH of 4 when I tested it, which means it is in the effective range for acid exfoliation, but is definitely on the more gentle side. I use the Cosrx BHA Emulsion during my serum step, right after toner. I haven’t had any problems getting other products to absorb when applied on top. If you find that regular acid exfoliation is too harsh for your skin, you might want to try enzyme exfoliation. Enzyme exfoliation products use fruit enzymes – most notably, papaya, pineapple and pumpkin – to gently resurface your skin. Keep in mind though, that many people are sensitive and reactive to fruit enzymes, so be sure to patch test any new product. The Ole Henriksen Blue/Blackberry Enzyme Mask is my favorite enzyme exfoliation product. It comes in a clear, thick gel that you spread onto your skin and leave on for 10-15 minutes before rinsing off. My skin is noticeably smoother and pores more refined the next day. Beware, it has a strong scent of lavender so avoid if you’re sensitive to lavender oil. I have a full review here. The best thing is, it leaves my skin soft and hydrated. I use this right after cleansing, and after rinsing off the mask, I swipe my face with toner on a cotton pad to remove any residue. I’ve used other enzyme products like the Amore Pacific Treatment Enzyme Peel, and I like the Ole Henriksen much better. The AP peel was very drying and my skin would get irritated if I used it more than twice a week. I’ve already recommended the Ole Henriksen Blue/Blackberry Enzyme Mask to a lot of my friends. There are other ways to gently exfoliate skin, such as peeling gels, Vitamin C products, and other gentle exfoliators, but those will be a topic for another day. In the meantime, my fellow sensitive-skinned friends, what beauty products have worked for you? This post contains an affiliate link, which means I get a small commission if you make a purchase through my link. You won’t pay a penny more, and clicking on my affiliate links helps me to keep this blog running.